The deep state, in a Globalist collusion has been actively employing Chemtrails over the United States and other nations for decades as a component to modify the weather when used in conjunction with the HAARP military program which can focus the energies of the ionosphere to create tornadoes, earthquakes and hurricanes by heating the Atlantic Ocean to replicate the natural formation of hurricanes. This technology was responsible for Katrina twelve years ago and caused the recent Hurricane Harvey which devastated Texas. Such engineered man-made disasters have been provoked for political and economic reasons in that billions are needed to rebuild, much like after a war. 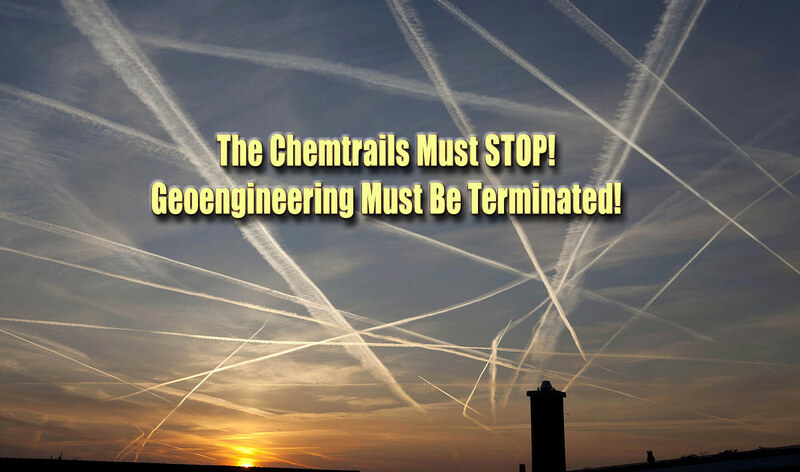 We call on President Trump to end the use of Chemtrails and HAARP as a form of domestic terrorism.